Following a career as a government economist, corporate strategist and manufacturing company CEO, Mark Hull worked as a private sector utilities economist for 13 years. During this time he worked for some of the world’s top private consultancies offering analyses and advice in the water, electricity, gas and rail industries on strategic, regulatory, cost-cutting, merger and restructuring issues in the UK, continental Europe, North America, South America, and Asia. He now teaches economics and business strategy in Universities and Business Schools. 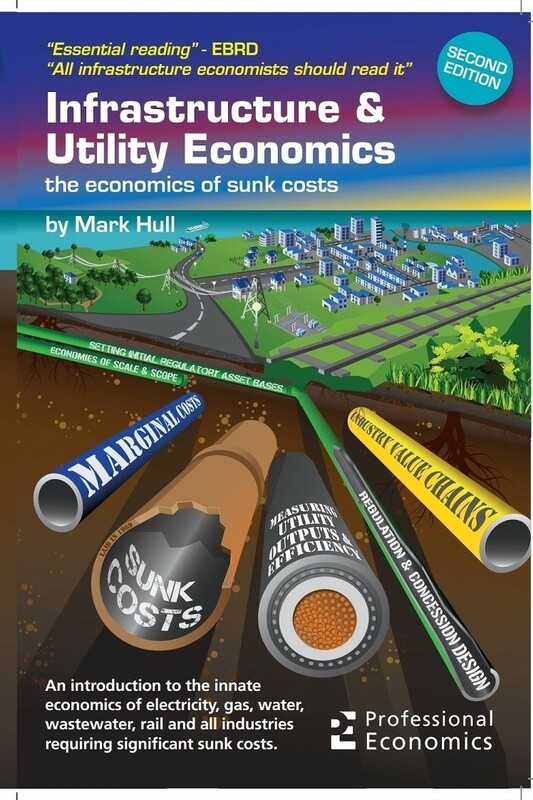 This book explains infrastructure and utility economics as the economics of sunk costs. It examines closely the dynamic sequence of investor and management decisions that determines the evolution of market structures in industries with significant sunk costs, such as electricity, gas, water, wastewater, rail, roads and broadband telecoms. These industries are natural monopolies, but utility economists have known for decades that the textbook explanation (high fixed costs) is wrong. This textbook is the first to propose a coherent general alternative theory based on a sequential model of sunk costs as an asymmetry in time. 40 years after Baumol and co. first introduced the concept of contestable markets to theoretical economics, we at last have a general dynamic model of the evolution of a natural monopoly. 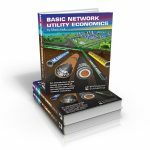 The second edition of this seminal text, formerly known as Basic Network Utility Economics, discusses alternative definitions of sunk costs, and then defines them properly – as asymmetries in technology, time or space. It then develops a simple general sequence model to explain exactly how geographically and technologically unique sunk costs create massive entry barriers (Chapter 3) – the general model of the economics of sunk costs. Using simplified systems models it explores the circumstances under which second and subsequent entries can rationally occur, leading to a theory which accurately predicts why electricity, gas, water, wastewater and rail are nearly always monopolies, but broadband landlines, bus companies and postal services may be oligopolies, duopolies or monopolies. The general theory handles technological and market change very simply, dispensing with all notions of fixed revenue and cost curves, and is generally applicable to any industry in any circumstance – e.g. the automobile, or aircraft-making, or mobile phone industries – but gives the clearest results where sunk costs are significant (as in all three of those industries – Chapter 4). Having introduced students to infrastructure economics and the basics of the utility industries (Chapter 1), and to the general theories of utility evolution, the book explains the techniques that are actually used by practitioners to analyse and advise policymakers, in simple language suitable for anyone with an understanding of basic economics. It explains how to calculate forward-looking long run marginal costs in a time-series sense, how to measure network outputs properly, and how to compare the efficiency of different networks in the same industry fairly (not as obvious as one might think). In the course of this “easy and informative” exposition the limitations of neoclassical models are exposed, and more general tools are gently explained, using 148 colour diagrams and a minimum of algebra. This is the only textbook to explain the basic stages of infrastructure economics and of each heavy utility (the value chains and the nature of energy demand, water demand, wastewater demand and transport demand), define sunk costs properly, propose a coherent general theory of the economics of sunk costs to explain all market structures, and then use this theory a) to develop standard professional utility economist techniques such as measuring the long run marginal costs of utilities, determining utility outputs and techniques for measuring the efficiency of individual utilities, and b) to apply this theory to recent global examples where utilities around the world have been restructured and often privatised. The full contents of the book are described in the Contents pdf file which can be downloaded immediately. Individual chapters are also available for downloading electronically as .epub (iBooks etc.) or .mobi (Kindle etc.) formats. Chapters 1–4 explaining all the general basic concepts are FREE, while Chapters 5-13 range in price from £4 to £12 or about $5 to $15. The e-book version of this is available in epub and mobi formats at a price of £35 or $45. “I have much enjoyed reading your Chapter 4. I find it a very helpful dynamic model which both takes further the idea of contestability and links it to the dynamics of technical change.